The Weather Channel may be going on the auction block and the prize will be weather.com. The article tries to play up the asking price, probably around $5 million. WebProNews was comparing it to the sale of Business.com for $350 Million. But the buyer is not only getting a website, they are getting one of the leading channels on cable and satellite that has no competition. It is wrong to compare the sale of Weather.com to Business.com. It is not even close. Today marks the first annivesary of the first of two blizzards to hit Denver over Christmas last year. It was plain nasty around here. I had to pick my sister in-law up from the airport. It just started to snow on my way there. It took me 30 minutes to get to the airport and two hours to get home. It was not a fun day. The forecast for this year, warm near 50 degrees. The next chance for snow is tomorrow and it is only for a couple of inches. We need snow here in Denver, I am just hoping that we don’t get 30+ inches at one time. Another snowstorm is bearing down upon the Denver area. By tomorrow evening it will be extremely cold and we could have up to 5 inches of snow. We need the moisture and the mountains are getting hammered. If you want to ski the Colorado Rockies, now is the time. They are measuring the snow in feet, so now is a good time to go. Let’s hope this is a good sign to come for the winter. We need the water out west and the winter snowfall is how we get most of it. Keep the snow machine humming and dumping snow in Colorado. 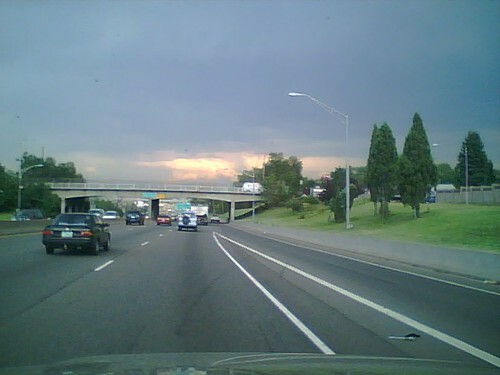 Thunderstorm in Denver, originally uploaded by Mile High Soapbox on Flickr. This is a wonderful photo that was taken by the Denver Post of the storm moving in over the metro area. This storm produced a lot of rain and some flooding and led to the Rockies game to be canceled this evening. Way to go Denver Post and capturing this photo. Here is the story, Rain, lightning greet weekend.